Here are some snazzy birthday facts about 10th of October 1954 that no one tells you about. Don’t wait a minute longer and jump in using the content links below. Average read time of 10 minutes. Enjoy! What day was my birthday Oct 10, 1954? October 10, 1954 was a Sunday and it was the 283rd day of the year 1954. It was the 41st Sunday of that year. The next time you can reuse your old 1954 calendar will be in 2021. Both calendars will be exactly the same! This is assuming you are not interested in the dates for Easter and other irregular holidays that are based on a lunisolar calendar. What day is October 10 this year? There are 169 days left before your next birthday. You will be 65 years old when that day comes. There have been 23,572 days from the day you were born up to today. If you’ve been sleeping 8 hours daily since birth, then you have slept a total of 7,857 days or 21.51 years. You spent 33% of your life sleeping. Since night and day always follow each other, there were precisely 799 full moons after you were born up to this day. How many of them did you see? The next full moon that you can see will be on May 18 at 21:13:00 GMT – Saturday. Fun stat: Your first one billion seconds (1,000,000,000) happened sometime on June 18, 1986. If a dog named Pokitz - a Norwegian Elkhound breed, was born on the same date as you then it will be 308 dog years old today. A dog’s first human year is equal to 15 dog years. Dogs age differently depending on breed and size. When you reach the age of 6 Pokitz will be 42 dog years old. From that point forward a medium-sized dog like Pokitz will age 4.5 dog years for every human year. View the complete list of October 10 celebrity birthdays. Who are the famous October 10 birthdays? Here’s a short list of famous people in history who were born on Oct 10. View the complete list of October 10 famous birthdays. What happened on my birthday – Oct 10th? The Wuchang Uprising leads to the demise of the Qing dynasty, the last Imperial court in China, and the founding of the Republic of China. United States President Woodrow Wilson triggers the explosion of the Gamboa Dike thus ending construction on the Panama Canal. The Carinthian plebiscite determines that the larger part of the Duchy of Carinthia should remain part of Austria. Chiang Kai-shek becomes Chairman of the Republic of China. A coup d'état by the royalist leadership of the Greek Armed Forces takes place in Athens. It overthrows the government of Panagis Tsaldaris and establishes a regency under Georgios Kondylis, effectively ending the Second Hellenic Republic. The Soviet Union establishes diplomatic relations with Australia. Papua New Guinea joins the United Nations. An earthquake measuring 7.5 on the Richter scale strikes San Salvador, El Salvador, killing an estimated 1,500 people. A Lignes Aériennes Congolaises Boeing 727 is shot down by rebels in Kindu, Democratic Republic of the Congo, killing 41 people. View the complete list of October 10 historical events. What does my birthday October 10, 1954 mean? 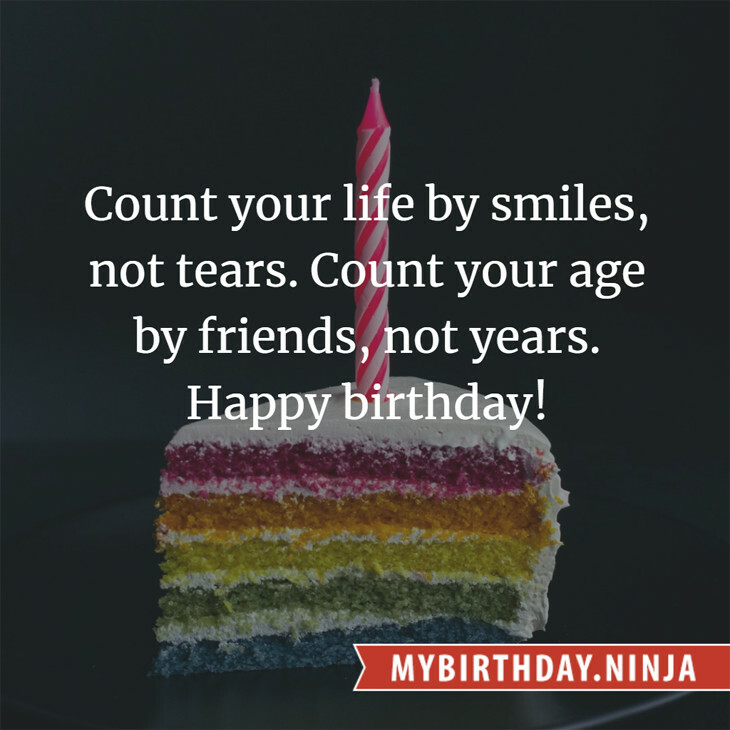 Your birthday numbers 10, 10, and 1954 reveal that your Life Path number is 3. It represents vision, imagination and joy of living. You possess a great talent for creativity and self expression. The following celebrities also have the same life path number: Rob Estes, Dwight Hicks, Richard Edson, Kemal Monteno, Fran Allison, Daniel Petrie, Jr., Jamie Renée Smith, Rod Argent, Ricky Gervais, Allie DiMeco. 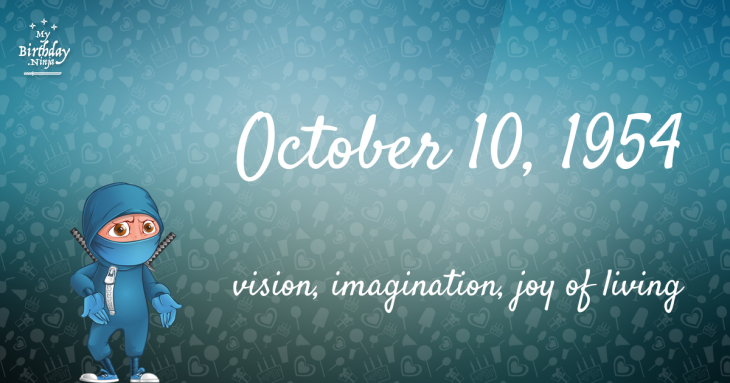 What is the birthday horoscope for Oct 10, 1954? The Western zodiac or sun sign of a person born on October 10 is Libra ♎ (The Scales) – a cardinal sign with Air as Western element. The ruling planet is Venus – the planet of love and beauty. According to the ancient art of Chinese astrology (or Eastern zodiac), Horse is the mythical animal and Wood is the Eastern element of a person born on October 10, 1954. What is the birthstone for October 10? Fun fact: The birth flower for 10th October 1954 is Cosmos for constancy. What is the Love Match for Oct 10, 1954? When it comes to love and relationship, you are most compatible with a person born on September 11, 1927. You have a Love Match compatibility score of +150. Imagine being in love with your soul mate. On the negative side, you are most incompatible with a person born on May 5, 1932. Your incompatibility score is -165. You’ll be like a cat and a dog on a love-hate relationship. Arf-arf, I want to bite you. Meow-meow, stay away from me! What is a good birthday trivia for October 10? How many babies were born on October 10, 1954? Base on the data published by the United Nations Population Division, an estimated 98,513,524 babies were born throughout the world in the year 1954. The estimated number of babies born on 10th October 1954 is 269,900. That’s equivalent to 187 babies every minute. Try to imagine if all of them are crying at the same time. What is the popular baby name on 10 Oct 1954? What’s your bizarre Florida Man story? The #FloridaManChallenge is breaking the Internet and social media. Some crazy men, women, or creatures from the Sunshine State are making headlines every day of the year including your birthday. Try this fun exercise. Pick your search engine of choice and type in “florida man October 10” and see what kind of wild news headline you will get. This viral craze started in 2013 and gets resurrected now and then. The latest was from Tumblr and found its way to Twitter. As they say, the rest is history. Here’s a quick list of all the fun birthday facts about October 10, 1954. Celebrities, famous birthdays, historical events, and past life were excluded. Try another birth date of someone you know or try the birthday of these celebrities: April 13, 1993 – Hannah Marks, American actress; October 28, 1963 – Verónica Gamba, Argentinian model and actress; November 5, 1931 – Gil Hill, American actor, police officer and politician.